Gyuto are modeled after the French pattern chef's knife. 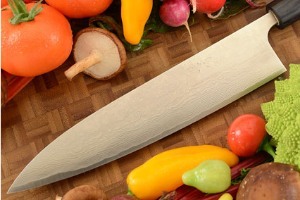 Longer and slimmer than the santoku, the chef's knife is the one knife no cook can be without. 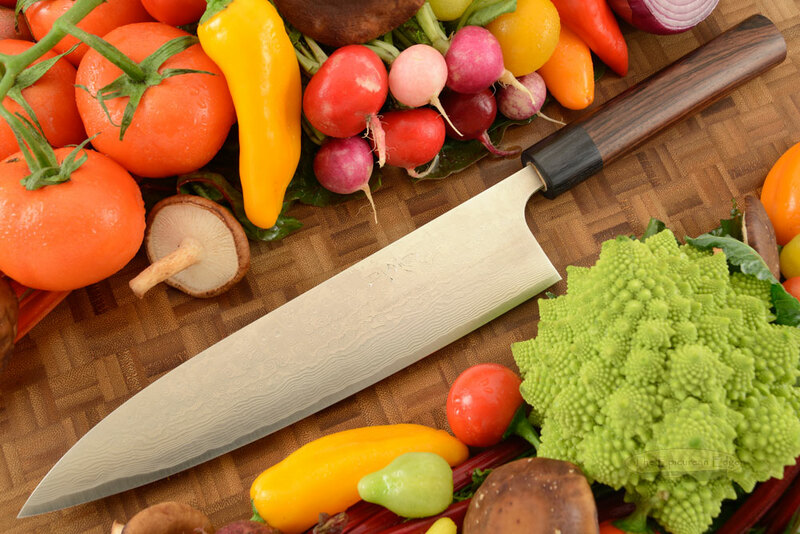 This all-purpose knife is ideal for a wide variety of cutting tasks. The 9-1/2 inch length is perfect for preparing fruits, vegetables, proteins, and a wide variety of other foods. 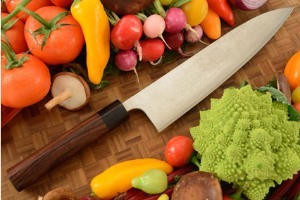 Each knife is individually hand-forged beginning with an SG2 powdered metallurgical (PM) stainless steel core (hagane). The smaller crystalline size of this PM steel results in superior edge holding when compared to nearly any stainless steel. The central core is surrounded by many layers of deeply etched nickel damascus. These many layers of steel result in a surface that helps food release from the knife's side when cut. This time consuming process creates a knife with outstanding edge holding and beauty. The blade is distal tapered for optimal balance and has an extremely thin, keen edge for the highest performance. The "Wa" style handle is called 'shinogi'. 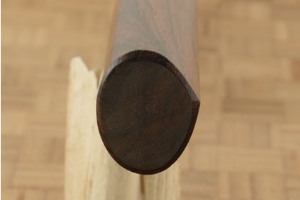 A ridge travels along the right side of the handle. While designed for right handed use, most lefty's find this handle style equally comfortable. Natural macassar ebony is combined with pakkawood for a handle that will last a lifetime. Like other kitchen knives, this knife should not be put in a dishwasher. 0.28515625 0.14453125 285.15625 144.53125 Trailer Completed.